The D.H. Lawrence Birthplace Museum is the childhood home to the controversial author D.H. Lawrence and is in the ex-mining town of Eastwood, surrounded by lovely countryside, both of which influenced Lawrence's life and literature. 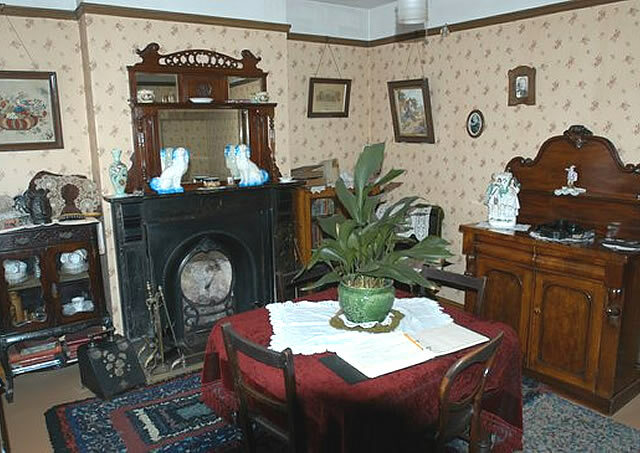 The house has been laid out in the style of a late 19th-century working class miner’s house, with the furniture being mostly from the family of the women who founded it. 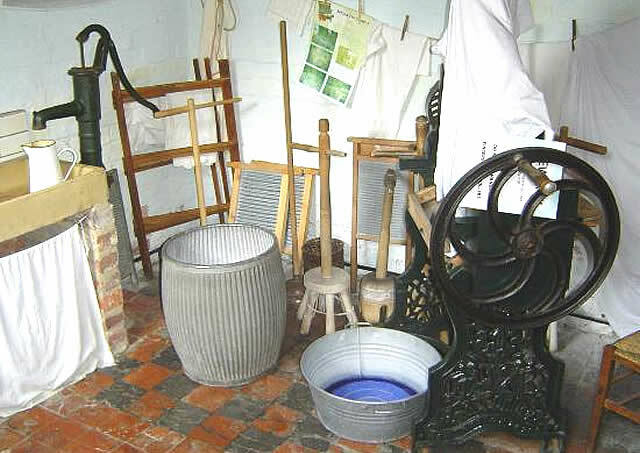 There are a few original items from Lawrence’s family; the artifacts are as close to the 1880s as possible and from Nottinghamshire to make the contents as authentic for the period. The house is set out as it was thought to have been when the Lawrences lived there. Visitors are given a guided tour which takes approximately 45 minutes. The significance of each room (parlour, kitchen, communal yard, washhouse, parents’ bedroom, children's bedroom and attic) is explained and questions encouraged. There is a small exhibition of Lawrence’s early original water colour paintings and a DVD room that starts the tour giving basic information on his life in Eastwood and thereafter. Photocopies of his later paintings are also displayed. A recent addition to the collection was Lawrence’s original gravestone, which has been on display since 11 September 2009, the anniversary of his birthday. Please note that due to the restrctions of the Grade II listed building there is no wheelchair access to the upper floors. The tour requires visitors to use flights of steps. There is also low level (gas) lighting in the historic rooms and the rooms themselves are small. Assistance dogs are welcome. Carers are admitted free of charge. Tickets include guided tour. Transport: Langley Mill (National Rail) 16 minutes or bus. Bus Routes : 532, 533, Amberline, Rainbow One, Y1 and Y2 stop nearby.